The official Mail Slot Plug Installation Instructions can be found here. Download PDF for printable version. 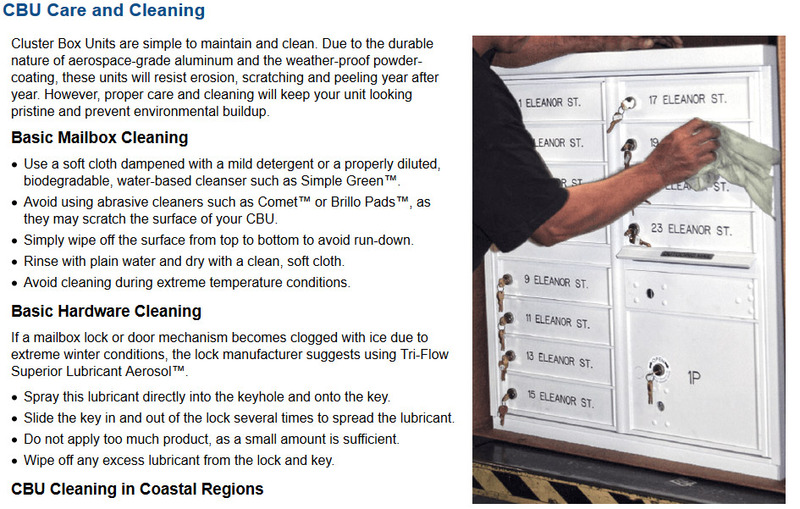 The official Auth Florence 4C Mailbox Maintenance Guide can be found here.Download PDF for printable version. 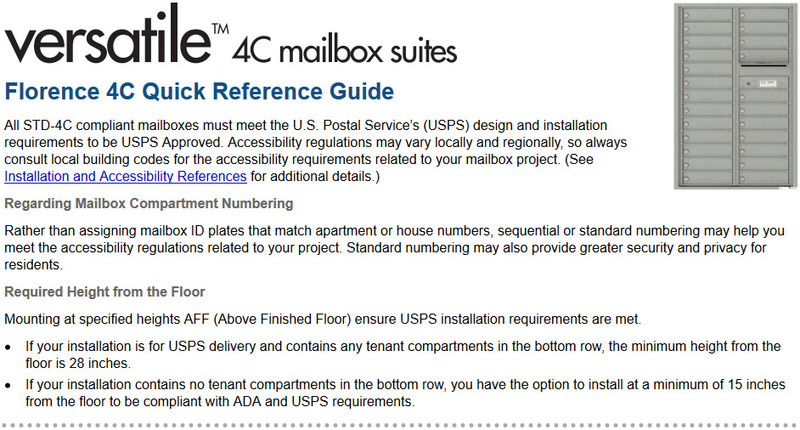 The official Auth Florence 4c Mailbox Suites Overview can be found here.Download PDF for printable version. 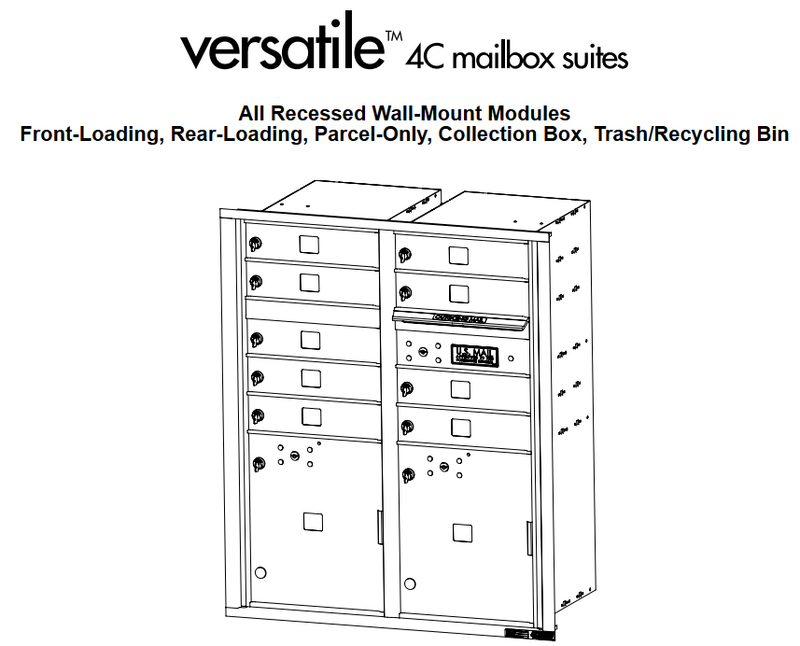 The official Auth Florence 4c Mailbox Installation Manual can be found here.Download PDF for printable version. The Cluster Box Options Overview can be found here. Download PDF for printable version. The official 1590 OPL Installation Instructions can be found here. Download PDF for printable version. The official Pad Spec 1570 CBU can be found here. Download PDF for printable version. 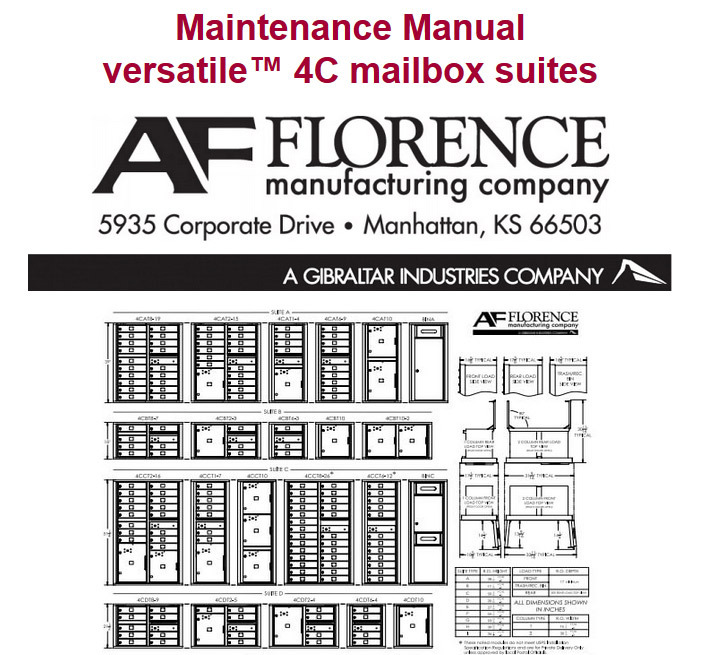 The official Auth-Florence 1570 cluster mailbox maintenance manual can be found here. Download PDF for printable version. 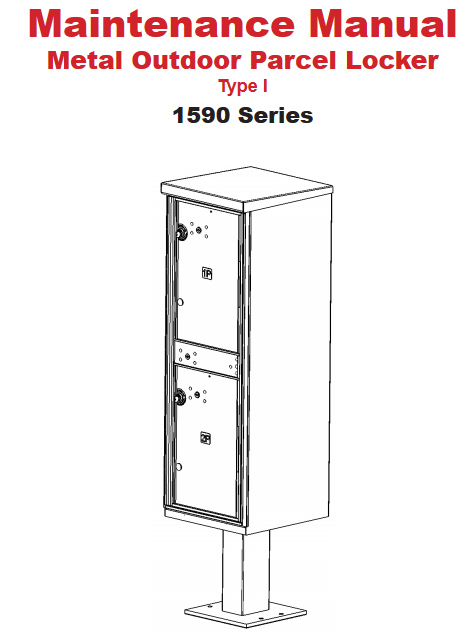 The official Auth-Florence 1570 cluster mailbox installation instructions can be found here. Download PDF for printable version. How can I find the keys that shipped with my Cluster Mailbox?